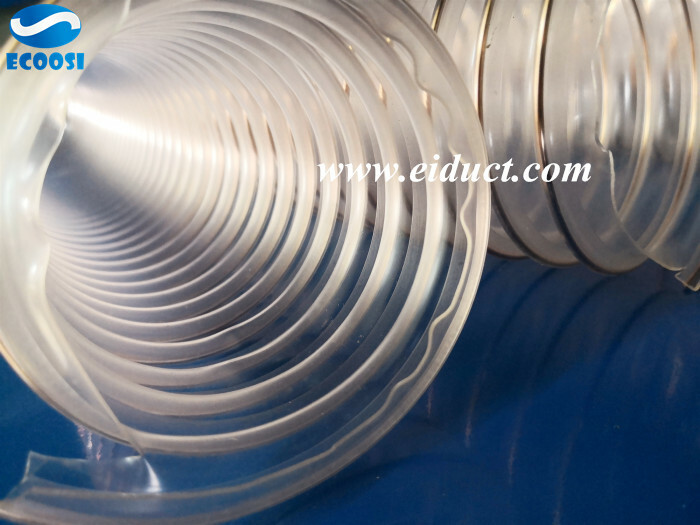 Ecoosi flexible PU woodworking dust collection hose is designed for woodworking industry. 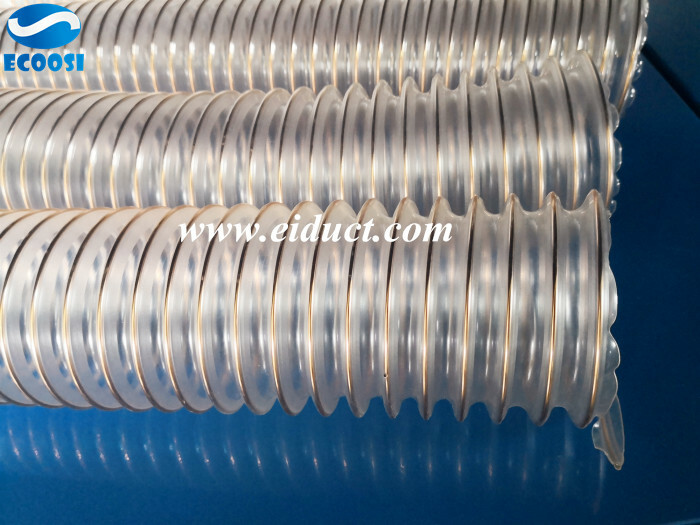 The flexible ducting hose supplier believes that all types of work are based on the material hose for the transport, removal or distribution of loose particles called sandpaper. The woodworking dust picker and wood dust collecting material are only two examples of potential abrasive applications for transfer hoses. Ecoosi's flexible and durable polyurethane PU woodworking dust collection hose is specially designed for collecting wood dust and dirt material. 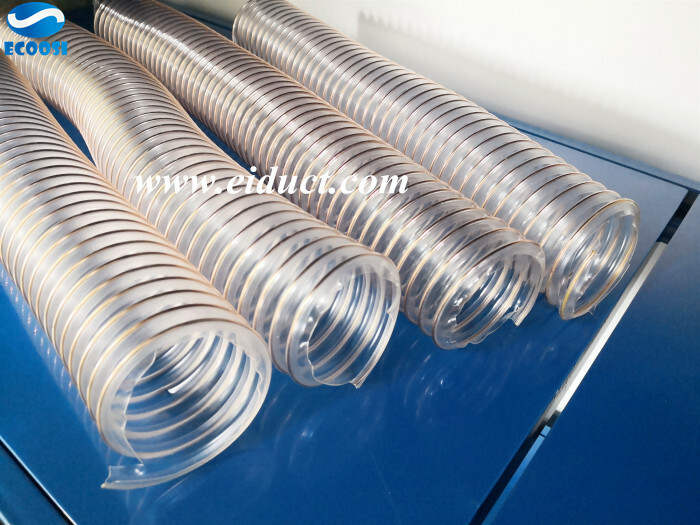 Ecoosi flexible PU woodworking dust collection hose is especially important for the construction and renovation industries for two reasons: 1. Time-saving 2.) Makes your workplace safer. The advantage of using vacuum working collecting duct hose on conventional brooms and dust jets is enormous and allows workers to spend more time against cleaning. In addition, the PU flexible duct hose of woodworking dust collection helps to reduce the risk of slippage or material deterioration resulting from dust accumulating by emptying the work areas of scattered wood dust. 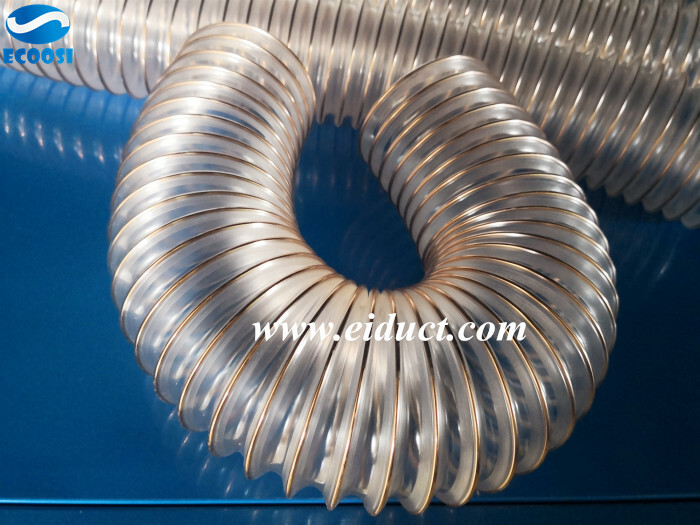 Ecoosi flexible PU woodworking dust collection hose From Ecoosi Industrial Co., Ltd.